Holland America Line’s Ryndam will host “A Prairie Home Companion” cruise, departing Aug. 18 from Amsterdam and ending in Barcelona on Aug. 29. Garrison Keillor will be onboard with “Prairie Home” regulars Tim Russell, Sue Scott, sound-effects man Fred Newman, and the Guy’s All-Star Shoe Band with Richard Dworsky. Others scheduled to attend include Robin and Linda Williams, Butch Thompson, Vern Sutton, Rob Fisher, Connie Evingson, Dan Newton, Chuck Mead and His Grassy Knoll Boys, the DiGiallonardo Sisters, Flamenco guitarists Jonathan “Juanito” Pascual and El Periquín. Currently in its 38th season, “A Prairie Home Companion” has made the fictional small town of Lake Wobegon, Minn., part of American popular culture. The show is broadcast on some 600 public radio stations nationwide, with a weekly audience that tops 4 million listeners. The “Prairie Home Companion” cruise is produced by Prairie Home Productions and presented by American Public Media Group. 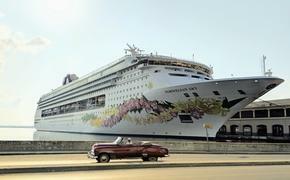 The cruise is not a fund-raiser for any public radio station, and no part of the associated cost is tax deductible.